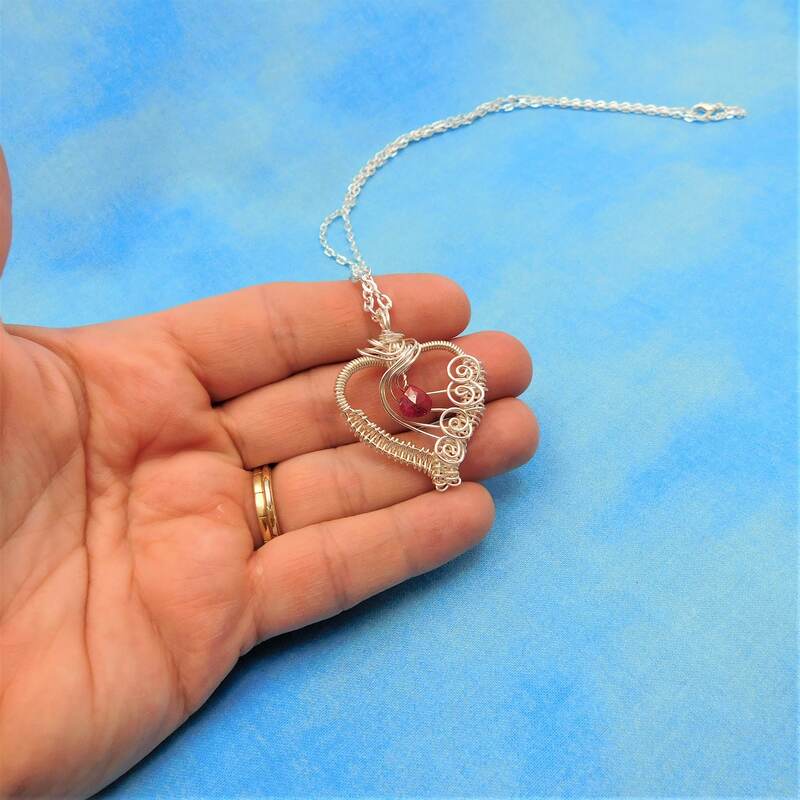 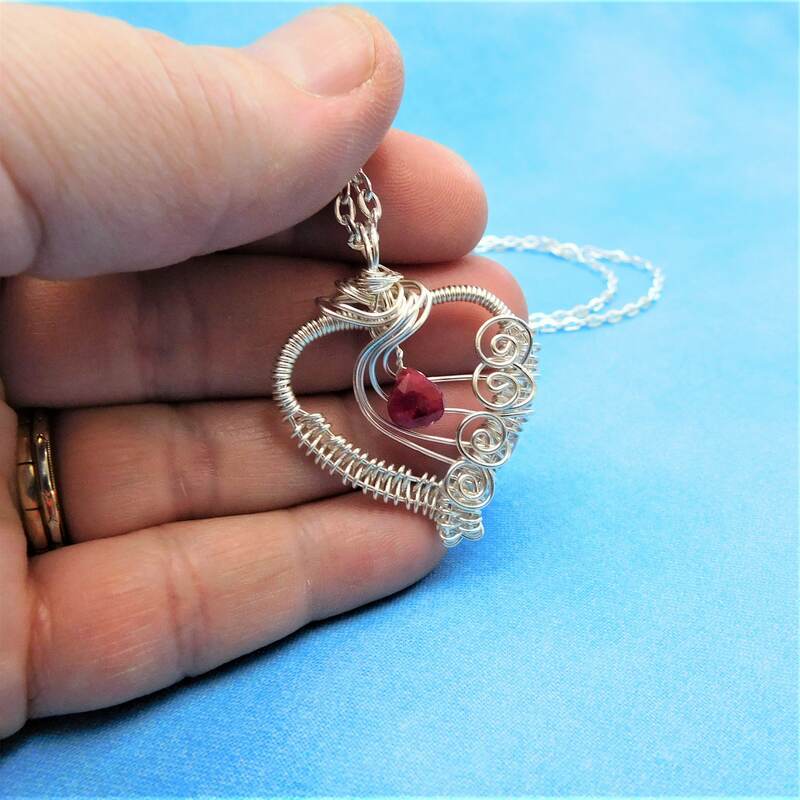 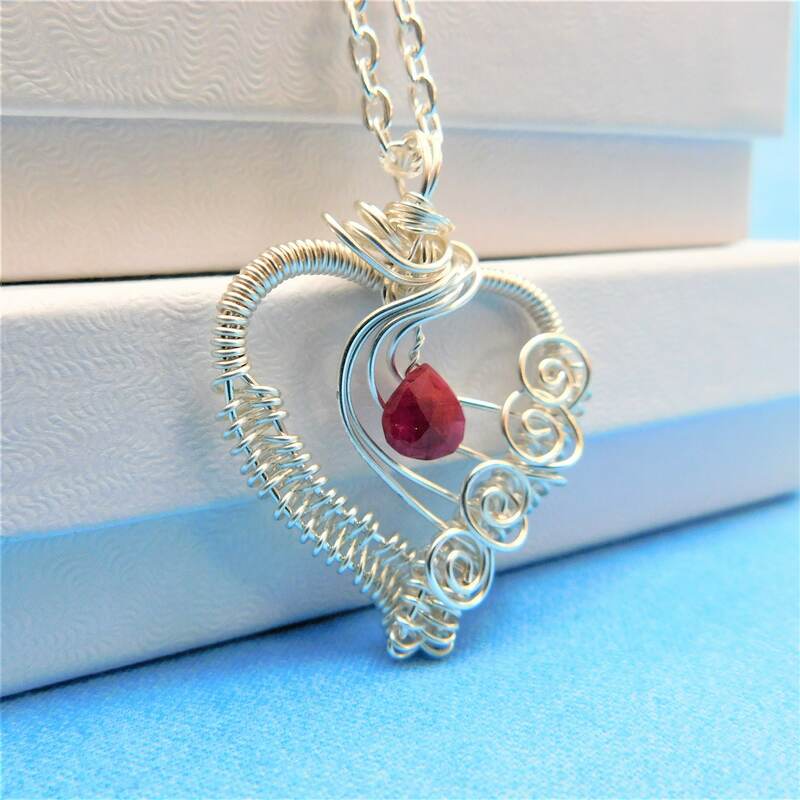 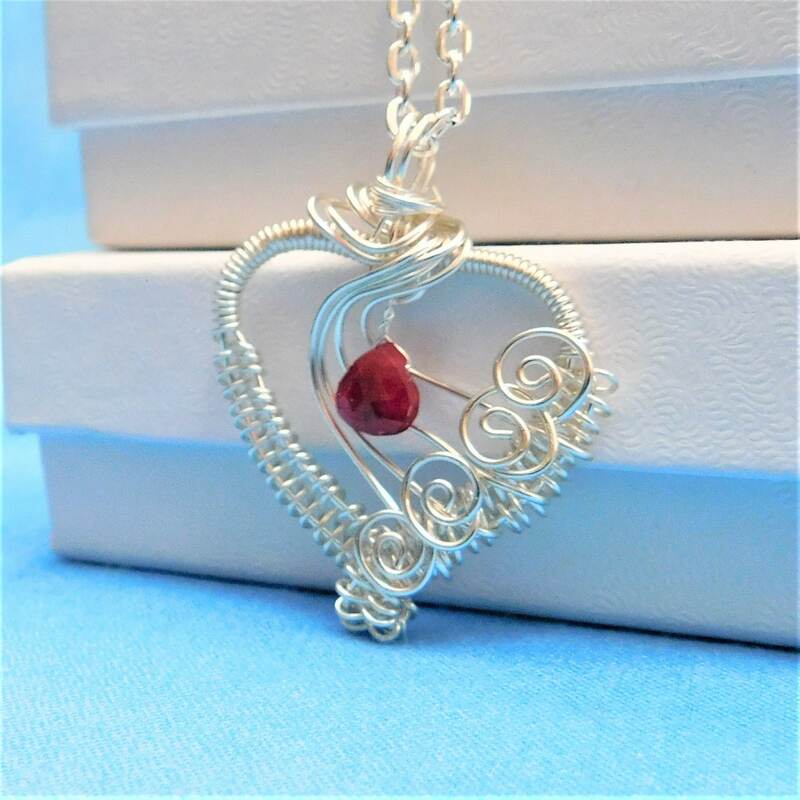 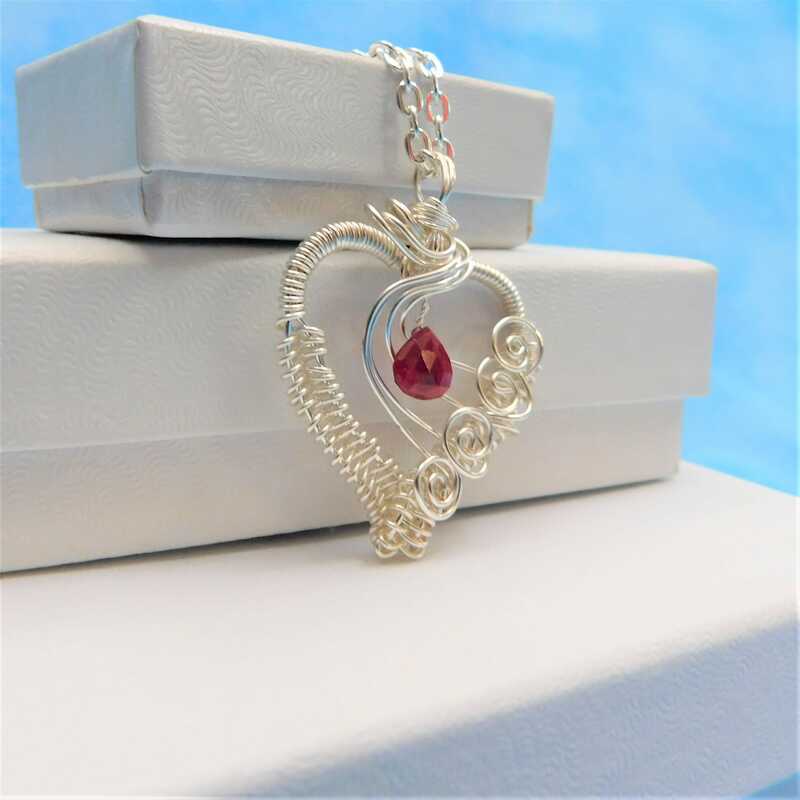 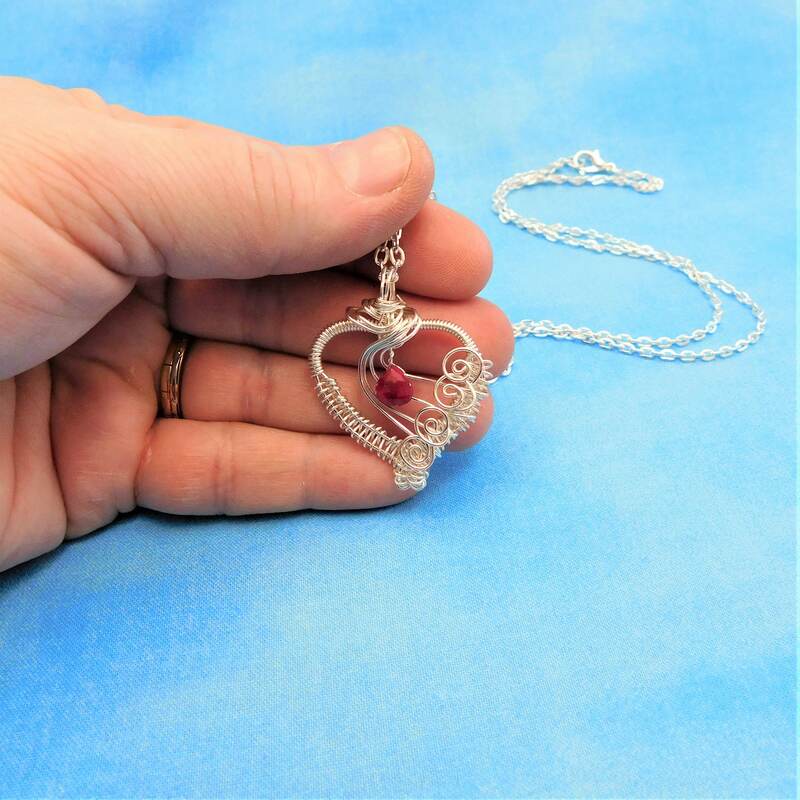 A genuine ruby is framed by an artistically hand woven heart, crafted with non tarnish fine silver over copper wire. 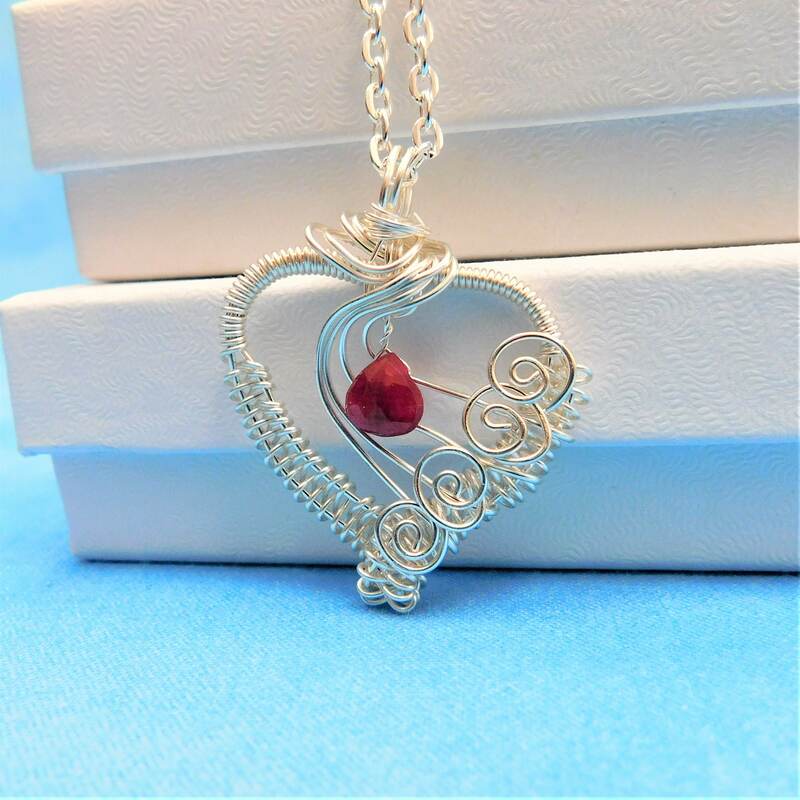 This lacy and delicate heart is artisan crafted and is intrinsically unique. 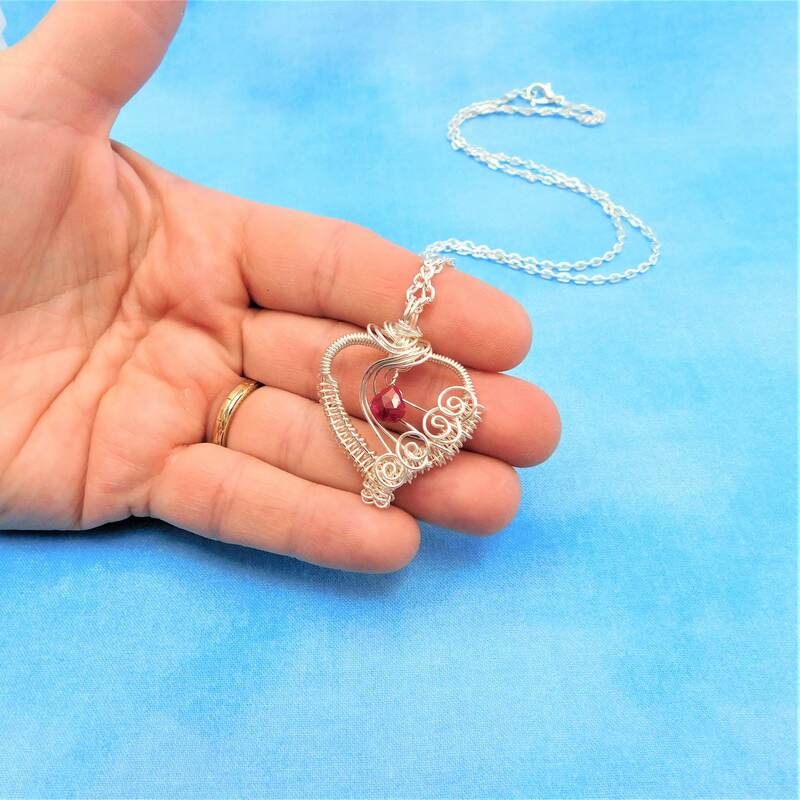 There is no way to create another heart identical to this one. 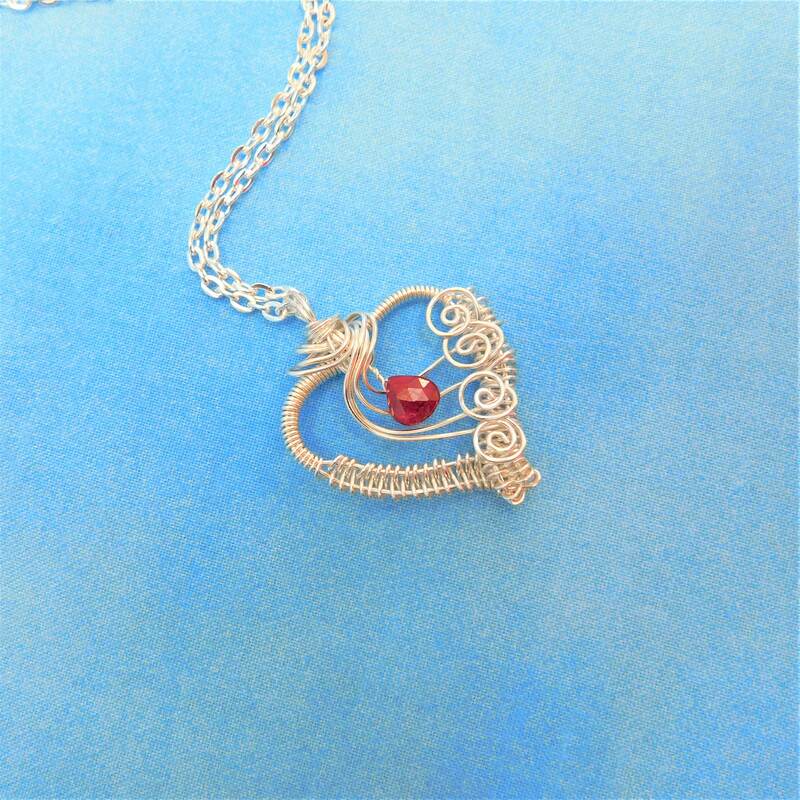 Perhaps this is the message waiting to be conveyed with this special pendant. 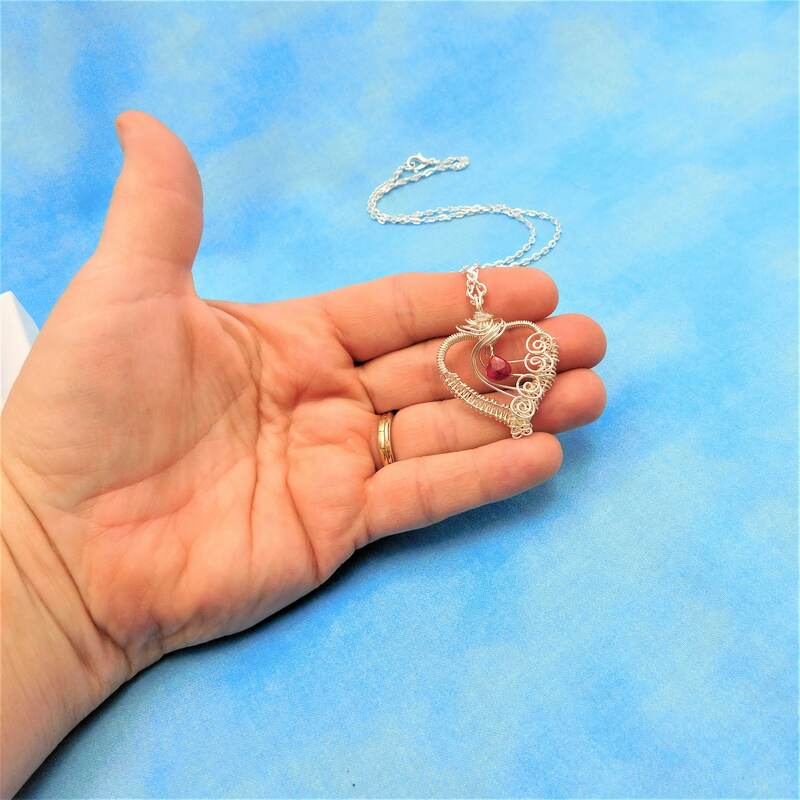 The pendant measures 1 1/4 inch by 1 1/4 inch and includes a FREE coordinating chain with lobster claw clasp, measured to your preferred length.